Five years ago, the Stevens community united behind a comprehensive ten-year strategic plan titled, The Future.Ours to Create. This ambitious and visionary document set out to build on Stevens’ core strengths, chart a course to a new destination, and elevate Stevens into the ranks of the nation’s elite universities. The plan laid out a bold vision, instilling direction and accountability into the university’s culture by establishing clear, measurable goals and steps for achieving them. 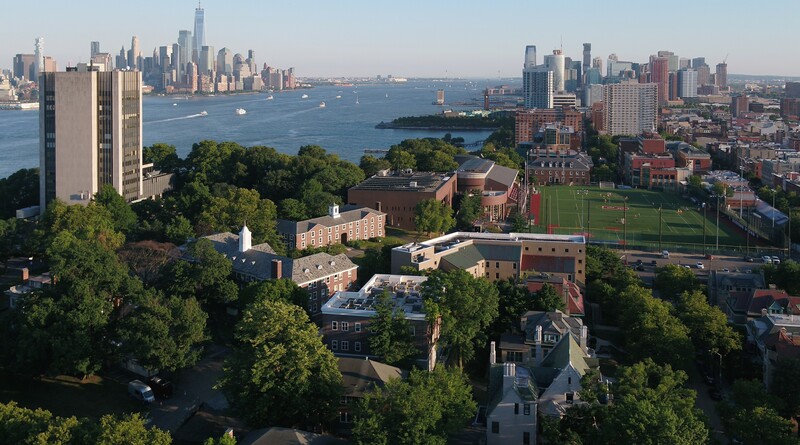 My arrival coincided with the plan’s midpoint, and it was my distinct pleasure to join President Nariman Farvardin, the academic and administrative leadership, the faculty, and stakeholders from across Stevens in undertaking an update of the plan. Our strategic plan remains a vital document. It has provided our diverse community with a shared mission, direction, and a sense of accomplishment. Its overarching goal—to make Stevens a premier, student-centric technological research university—remains unaltered. But conditions have changed, and our understanding of the challenges facing Stevens has evolved. The updated strategic plan reflects the progress we’ve made in many areas, accounts for new opportunities and challenges, and incorporates lessons we have learned. This revision could not have been accomplished without the insight and efforts of many people across the University. I am especially appreciative that our faculty took an active role. The revision process included significant give-and-take as we examined the foundations of the plan, our growth targets, our goals for undergraduate and graduate education and research, and the principles underlying our allocation of resources. We are indebted to the Faculty Senate for its leadership in facilitating this critical dialogue and for helping to synthesize a broad range of ideas into this plan. We look forward to the faculty’s continued contributions, through the active participation of members of the Faculty Senate, as we transition into the implementation phase of the revised plan. I am confident that our revised strategic plan will focus and strengthen Stevens’ academic mission and reputation. It builds on our remarkable record of advancements in engineering, science, business, and the humanities and social sciences; our groundbreaking interdisciplinary research and education; and our campus-wide spirit of innovation and entrepreneurship. It provides a reasonable and sustainable growth model; a path toward building the research enterprise; a strengthened infrastructure for faculty and graduate students, especially doctoral candidates; a resource allocation philosophy that promotes empowerment and accountability; and an invigorated commitment to diversity. Significantly, the plan now focuses on several foundational pillars—promising and important fields in which Stevens has an outstanding record and a promising future. They are: artificial intelligence, machine learning and cybersecurity; biomedical engineering, healthcare and life sciences; complex systems and networks; data science and information systems; financial systems and technologies; and resilience and sustainability. I am excited about the vision laid out by this plan and gratified by the university community’s dedication to its evolution and success. I am certain that, together, we will continue to create a proud and distinguished future for Stevens.